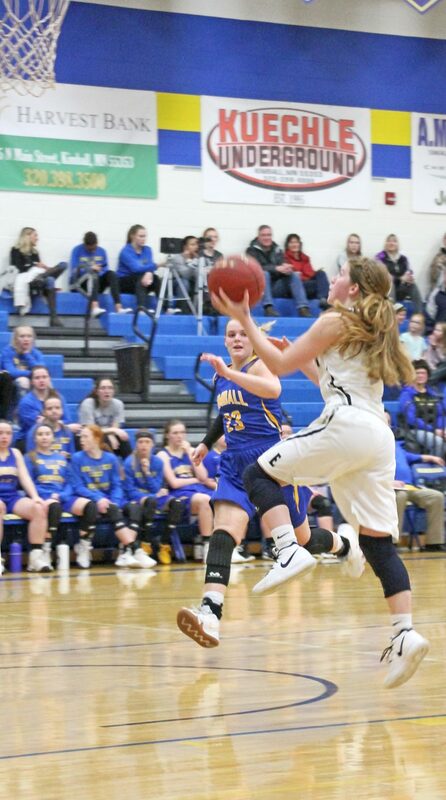 Pierz Game – EV-W Scoring: Meryl Kuechle, 2 points; Whitney Jansen, 4 points; Brielle Kuechle, 2 points; Olivia Schleper, 2 points; Halle Jansen, 16 points; Lindsey Wirz, 2 points; Sawyer Kuechle, 9 points; McKenna Moehrle, 2 points; Emma Schultz, 17 points. (Kimball game scoring results were unavailable at press time). 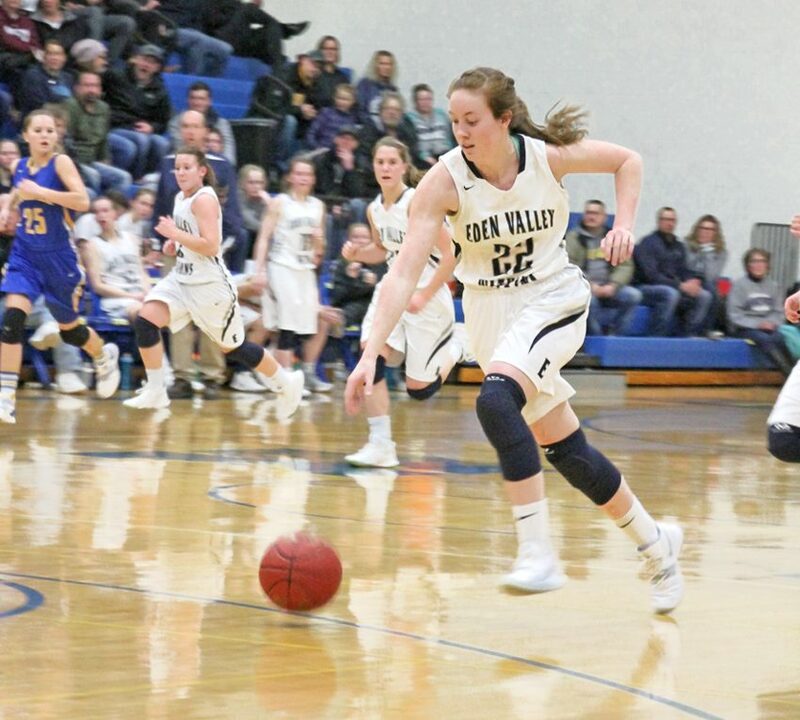 Junior Halle Jansen breaks away after stealing the ball in EV-W’s win against Kimball Friday night. Photo courtesy of Amanda Garding. Senior Olivia Schleper drives for two against Kimball Friday. Photo courtesy of Amanda Garding.